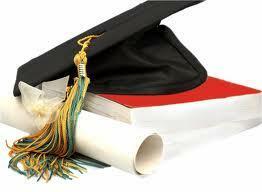 List of the Universities in September 2013 - We are The British College. Our students make the future. LIST OF THE UNIVERSITIES THAT THE GRADUATE STUDENTS OF THE 2012/2013 ACADEMIC YEAR, HAVE JOINED. In the 2012/2013 academic year, once again 100% of our year 13 students gained places at Universities for entry in September 2013. Sofía Bryan Rodríguez: Medicine in “Complutense University” of Madrid, with a grant for her outstanding results. Adam Ford Gaspar: MEng. Chemical Engineering in Imperial College, in London. Clemente Balbuena Gómez: BSc. Occupational Therapy in Málaga University. Andrea Fernández Gargiulo: BA. Creative Advertising in Falmouth University. Marina Gaspar Gallego: BSc. Psychology in Málaga University. Theo Garfath Gibelin: B.Music in Goldmiths University of London. Miriam Gornés Rodríguez: Psychology in Málaga University. Ave Lyubomirova Vangelova: International Relations in Juan Carlos I University, in Madrid. Callum Jackson: BSc. Sports Health and Exercise in Bangor University. Ashley Murray: Psychology in Málaga University. Dmytro Ostrovoy: BA. History in Málaga University. Carlos Perea-Milla Fernández: B.Music in Goldsmiths University of London. Elena Torres Pérez: BSc. Criminology in Málaga University. Charlotte Pollock: BA. Combined. Psychology, Criminology and Law in De Monfort University in Leicester. Raquel Veigas Márquez: Fine Arts in Seville University. Meri Sinervo: BA. English Literature and Creative Writing in Brunel University of London. Joel Sinervo: Medicine in Oulu University, in Finland.